I hope your day is extra special. I love hanging with my family in our pj’s as long as we want. This is one of our favorite days of the year. I love the colors. I used some retired SU! cardstock I’ve had forever. I seem to save my favorite cardstock and never use it. I decided to break it out for this! You can find the template for the box at My Time Made Easy. It’s called The Flapper. I filled it with homemade turtles. 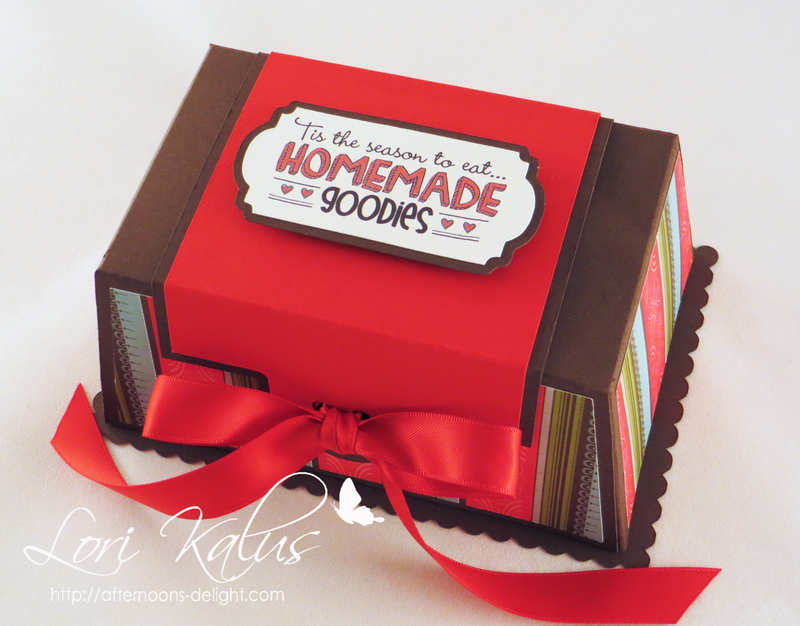 I made this tag using MTME‘s Yummy Sentiments and Homemade Holiday Labels. 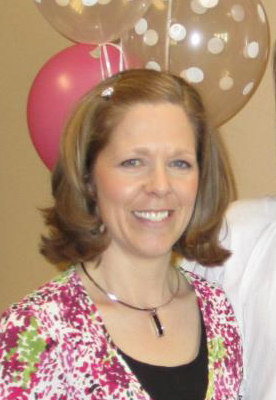 Tagged 3-D projects, Lauren Meader, MTME, Stampin' Up! I have two more Father’s Day cards to squeeze in today. These are for the grandpa’s. The embossing was done using CB Plants embossing folder. The sentiment is from Verve’s Father Figure. The images are from SU!’s sets Farm Life and Backwoods. I hope you’re having a fantastic day! Happy Father’s Day to all those dads and grandpas out there!! We are blessed to have such great men in our lives, so it’s fun to celebrate them. My hubby is competing in a shooting competition this weekend, having a fantastic time!! 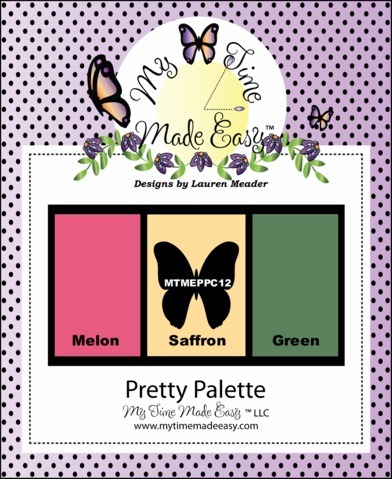 It’s time for another MTME Pretty Palette Challenge! I love, love this color combo!! 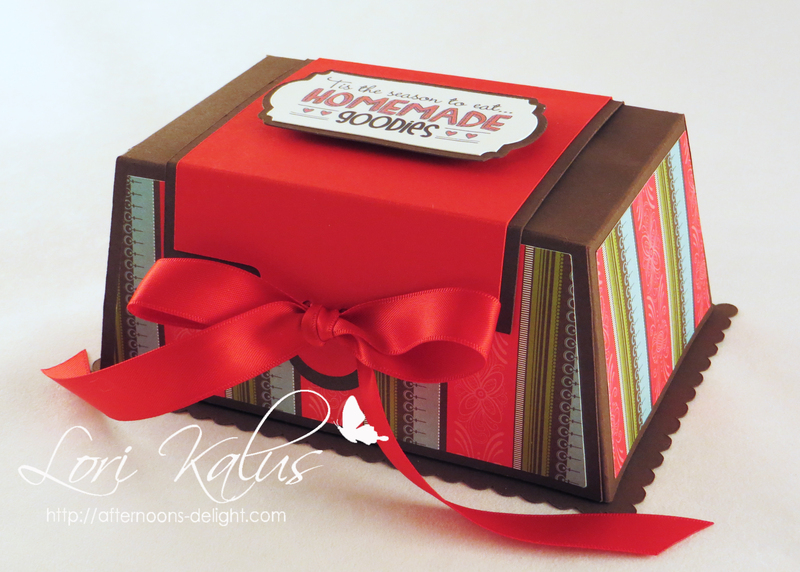 I really had fun with this color combo and a new fav stamp set of mine…Bold Botanicals from My Time Made Easy (MTME). With an image this beatiful, my card didn’t need many layers or frills. I love the sentiment too. The image is digital, so I colored it in PSE, printed onto WW cs, then cut it out with oval nesties. 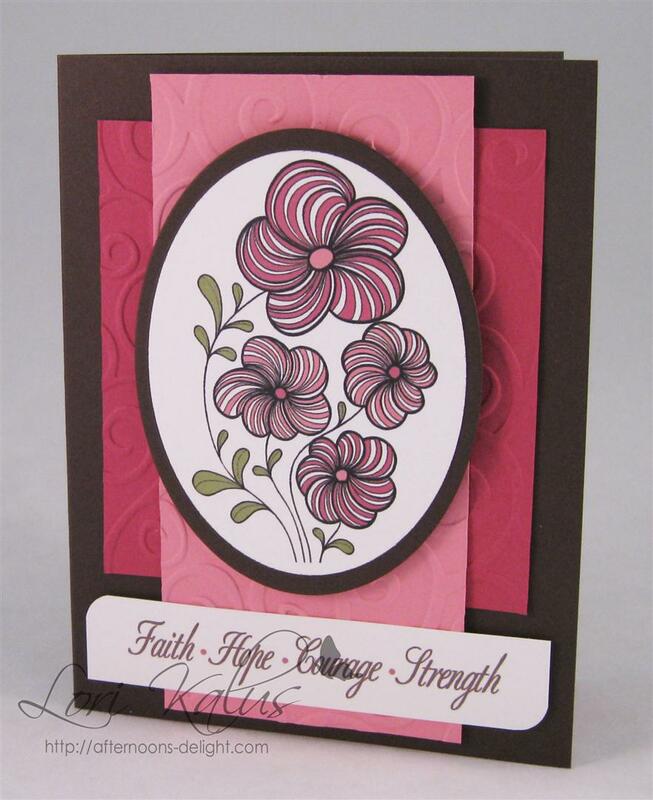 I embossed the pink layers with my CB Divine Swirls embossing folder. 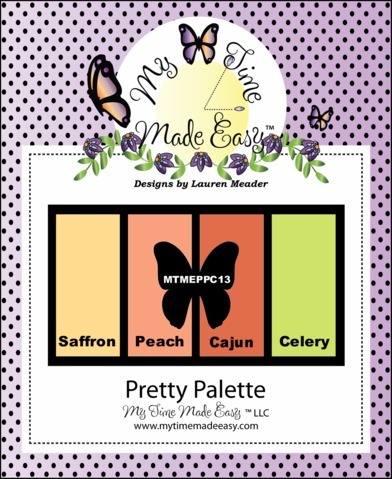 Be sure to check out the rest of the MTME Pretty Palette Team’s creations!! I hope you play along with us this week! Tagged Cards, Lauren Meader, MTME, SFYTT, Stampin' Up! I’m so excited to be joining the talent over at Our Creative Corner this week as their guest designer! Thank you, ladies! What an honor! Color challenge with a twist! 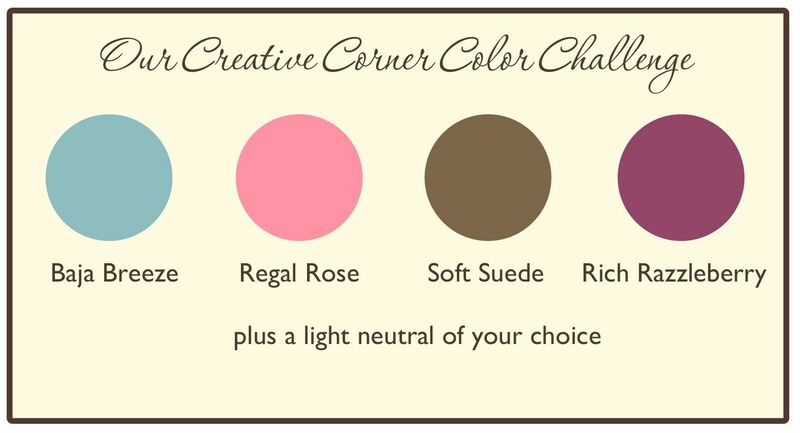 Make a card or project using these colors. The twist: use at least three different punches, and one of the three has to be a border punch. 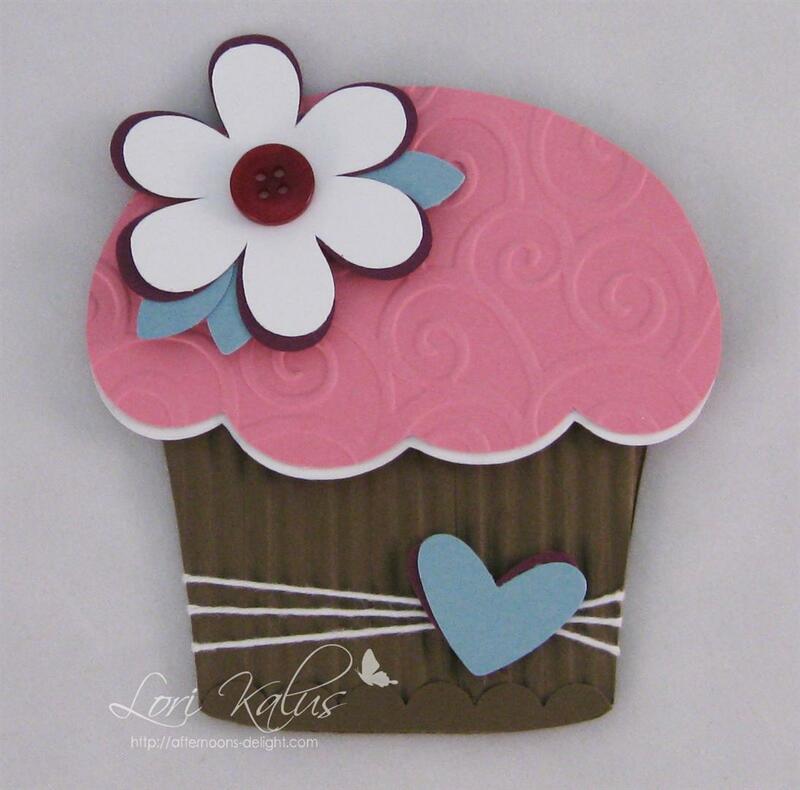 I’ve been enjoying making shaped cards lately, so I decided to make a cupcake! 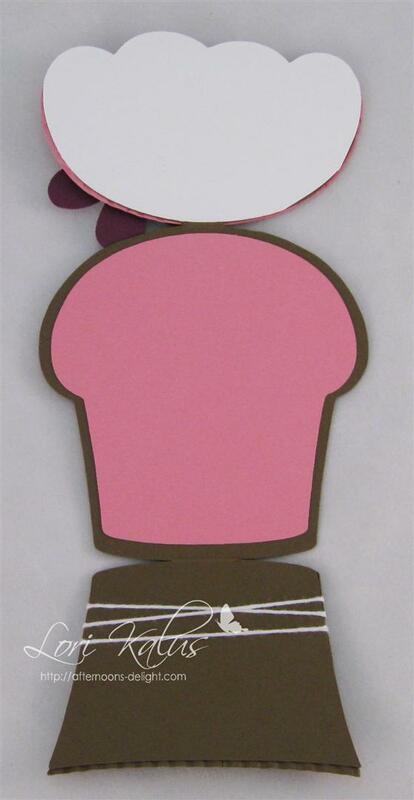 Tagged Cards, Food and Drink, OCCC, Stampin' Up! We have a crazy weekend planned, so I’m busy scheduling posts this morning. Whew! I have some really fun cards to show you, so be sure to check back each day through Sunday! I have been using a lot of digital stamps lately. They are really fun and offer a ton of diversity in their uses, but there’s nothing like getting a little inky! 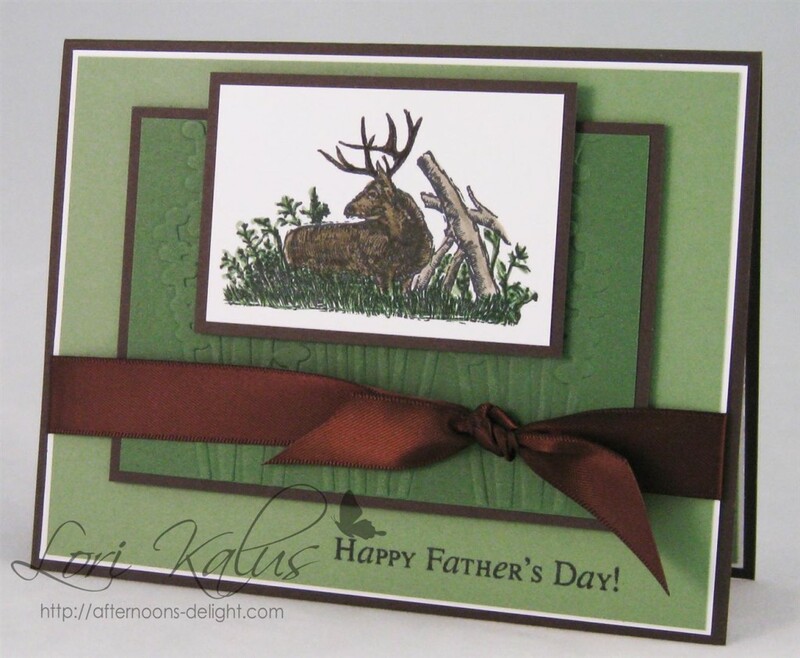 I broke out the ink pads and markers this week and got busy making more Father’s Day cards! We have 3 T-ballers and 1 Rookie this year. They are loving baseball. My hubby and I are too. It’s so much fun watching them play! I just played for fun growing up, we didn’t have a baseball league in my town. However, my hubby played on a league for a long time. He’s pretty good (at least the kids and I think so ;)!) 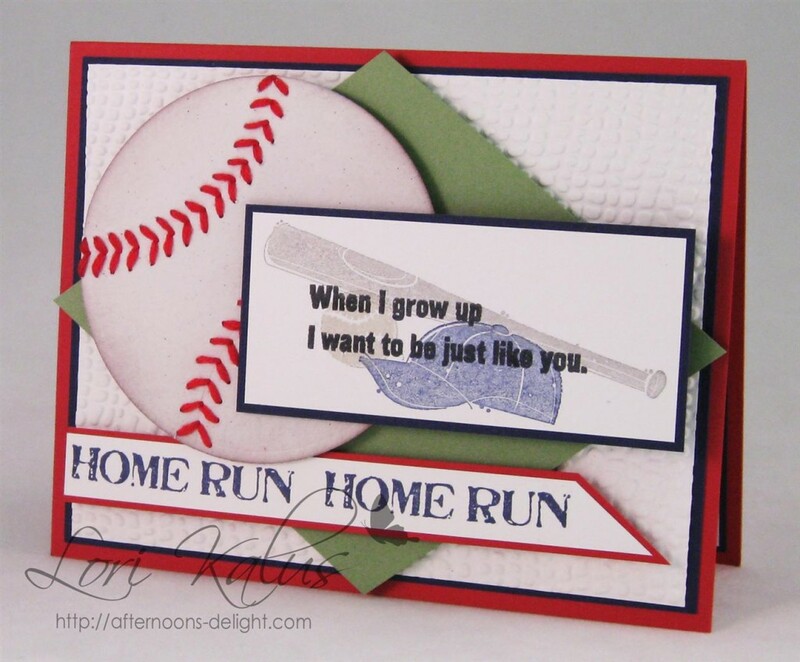 I thought it would be fun to give him a baseball themed card from the kids. I love the baseball. It’s my favorite part of the card! I cut it out with a circle nesties in naturals white cs and sponged the edges in crumb cake. I pierced the stitch lines, then sewed it with embroidery floss. Behind the ball is a green baseball diamond. 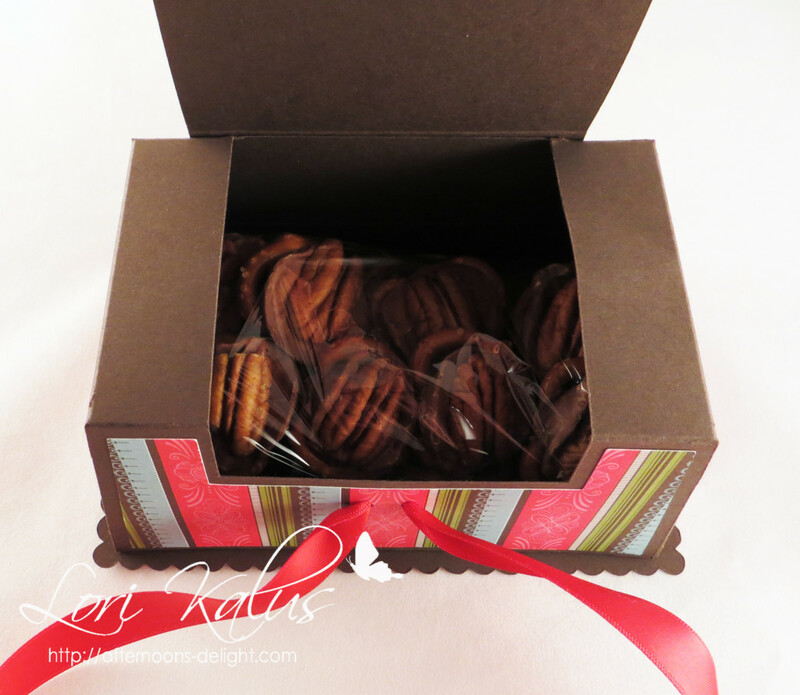 I’m sure he’ll like it, especially with their sweet messages written inside! I’m learning a new sport…golf! I am having so much fun with my, oh so patient, hubby! We have been golfing quite a bit, kids in tow. They are loving it too. It’s awesome family time. I love ladybugs. This one is so cute. She is part of MTME‘s Sensational Digital Package. Digital stamps are so versatile. I colored and sized her to fit my card, printed and wa-la! It’s that easy! 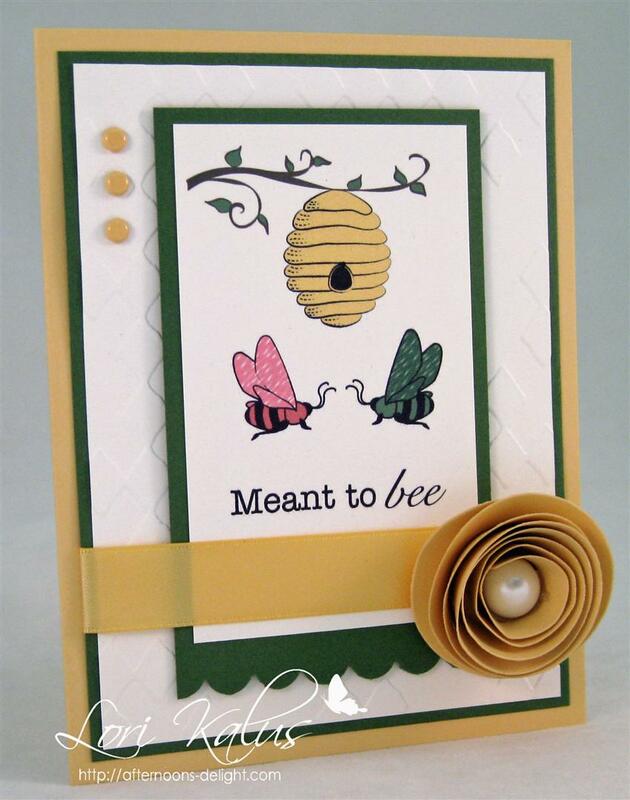 If you look closely at the background, you can see it is embossed with dots, complementing the ladybug. 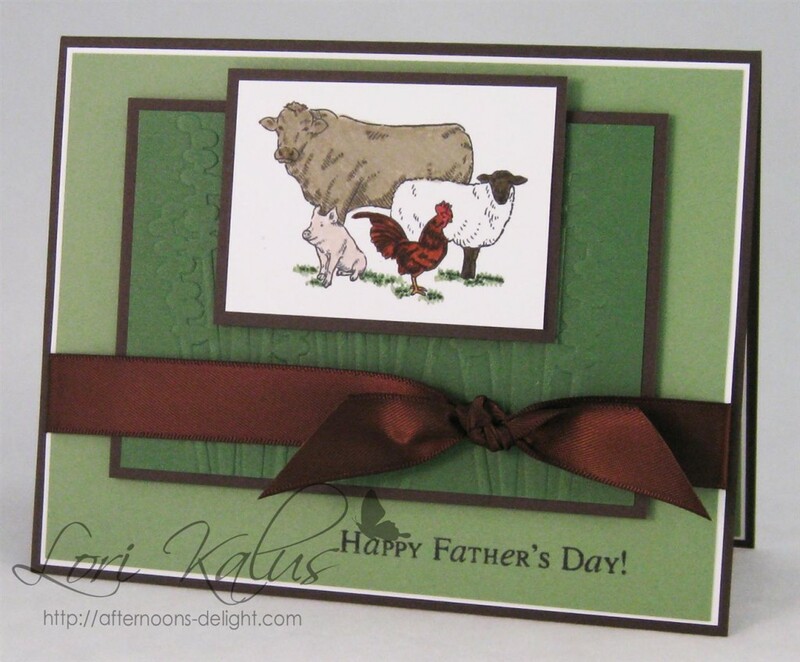 Tagged Cards, Lauren Meader, Mojo Monday, MTME, Stampin' Up! It’s time for another My Time Made Easy Pretty Palette Challenge!!! I love the Bee-Loved digi’s! There are so many cute images with the pefect sentiments to go with them. 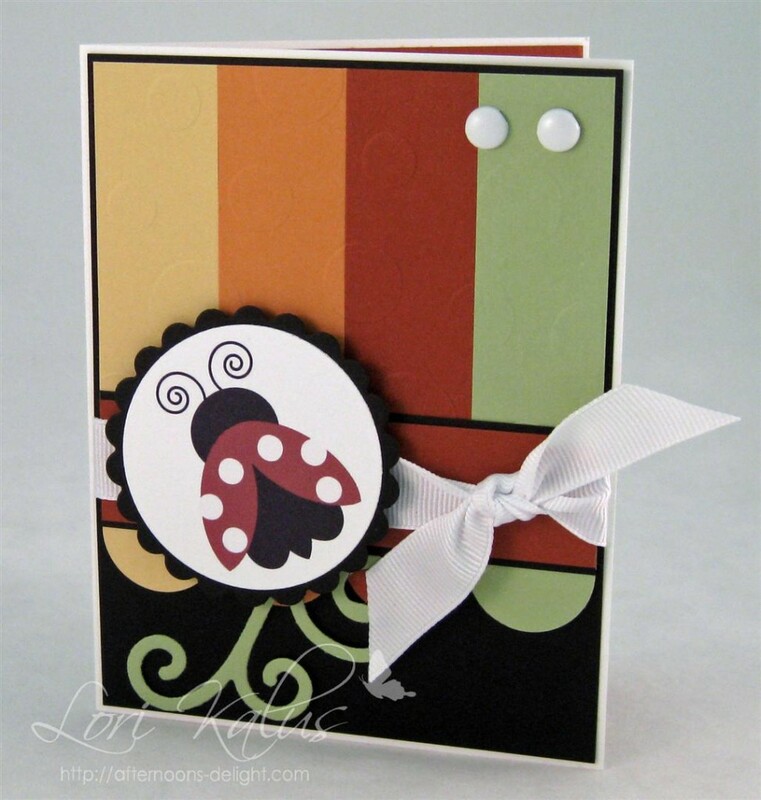 Tagged Cards, Lauren Meader, MTME, Stampin' Up!